Yet another fabulous bust from The Deathly Halliwell. This one is the protagonist Dream from the Sandman comics. This is a really impressive piece, from the light up eyes to the intense expression it's very well put together. And that hair just puts it over the top, fantastic. 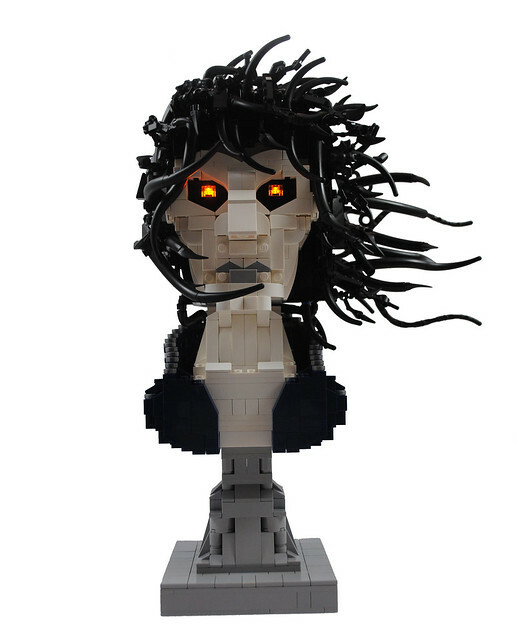 I wish I was able to go to BrickWorld and see this in person.